This post is by Stephan Argent, President of Marketing and Agency Search advisory ListenMore, and a member of the Marketing FIRST Forum, the global consulting collective co-founded by TrinityP3. Marketer with well-known brands, seeks hardworking, imaginative agency. For consideration, successful candidates must be prepared to answer detailed questions about their past, and then many hypothetical questions about proposed future relationship. Finalists must then share financial history and be willing to sign alluring prenup. Imagine (just for a moment…) you’d read an ad like that! 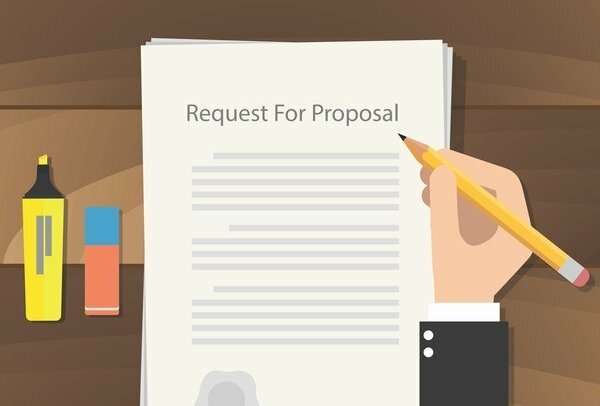 While some or all of those requests may be phrased somewhat differently, that is essentially how the traditional agency RFI / RFP scenario can often unfold. Marketers issue lengthy RFI questionnaires to assess the market and then narrow the field based on written responses. Shortlisted agencies are then briefed in an RFP – that may or may not include spec work of some description. And once an agency is chosen both sides negotiate, terms are hashed out and work finally begins. Under these conditions there has been a growing call for a different, more streamlined – and more effective – approach to finding the right agency(s) to meet marketer needs. And many would applaud the end of the RFI and RFP. The good news is there are any number of alternative approaches and methodologies that can lead to excellent matches between marketers and agencies. Depending on how you look at it, the bad news (perhaps), is that marketers need to be prepared to invest time and effort into their search processes and to answer some tough questions about themselves. And done properly, the results can really pay-off to create long-term, valuable relationships that reward both marketers and their agencies. Do you really understand who you are as an organisation? What are your strengths and weaknesses as a marketer? What’s your team really good at – and what needs to be improved? What internal processes need to be improved – perhaps even thrown out? What’s brought you to this point seeking an agency review? What does your incumbent agency say about you? The answers to these kinds of questions will help shape the kind of agency you really need as a marketer, while defining areas for improvement and change in your own organisation. Knowing the agency marketplace is a crucial step in condensing or eliminating the RFI. RFI’s shouldn’t be used as a substitute for not understanding the market or – just as bad – a mechanism to ‘tick boxes’ on the requirements list. If you don’t like RFIs the answer is simple: Do your homework on the agency marketplace. And if you’re not confident you have an up-to-date view of what the market has to offer – ask your friendly agency search consultant to help define the market and narrow the field based on specific expertise, while ruling-out on areas like conflicts. Sounds easy – but it’s much harder than many marketers imagine. While understanding your own organisation and why you’re in the market for a new agency is half the battle, the other half is being able to define the real attributes of an agency that will make your own marketing efforts more successful. One of the most common attributes we hear as a requirement is ‘creative’, which is generally just a jumping off point to understanding why your current agency isn’t perceived to be creative (because most are…), and what’s preventing that creativity from coming to the fore. Generally, there’s something behind the current lack of creativity – lack of insight, poor briefing, a breakdown in conceptual evaluation or misalignment of core objectives – all of which might point to a very different set of attributes from what’s initially been defined. 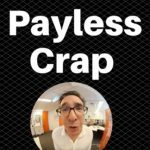 Another thorny subject we frequently have to help address is when marketers say ‘we’re paying too much…’. If costs are the root cause of your agency review, then the RFI and RFP should indeed be tossed out – not because the search process is wrong, but because what’s really needed is a benchmarking exercise to determine fair market value for the services required. Costs aside, marketers should also develop a strong sense of what constitutes value from their agencies. Whether it’s strategy, transparency, creativity, thought leadership, technology or anything else is immaterial – but understanding what you really value in an agency relationship is pivotal in being able to assess whether an agency is right for your organisation. Ever read a great resume, then met the candidate only to file under ‘thanks but no thanks’? Well the same holds true in agency search. All agencies look good on paper but only those with good chemistry between themselves and the marketer get the contract. Ticking boxes against an RFI submission and then evaluating against a specific RFP challenge can only get you so far because ultimately you’re buying an organic set of relationships. Those relationships have to engage, examine, challenge and grow with the human beings within your own organisation that you’ve already gone to great pains to interview, hire and train. And because of that, the chemistry step is perhaps the most important aspect of any agency search process when finding a solid, long-term match. Armed with a deep understanding of your own organisation, a clear perspective on your key requirements, and what the agency market really looks like, marketers are then much better equipped to manage their respective search processes. And as a result of that understanding, marketers should feel confident in talking with only a handful of agencies. And if that makes your palms sweat, chances are there’s more homework that needs to be done on your own organisation before you can comfortably adopt a more streamlined search process. Yes, there’s a but. Perhaps several ‘buts’ because not all marketing organisations are ready or capable of walking away from the RFI, RFP process. Adopting a more streamlined approach to agency search requires considerable introspection in order to be successful. Organisational structure, corporate policy, procurement requirements, international alignment, total contract value and yes, internal politics, are all factors that may determine a marketer’s readiness and ability to move away from a traditional RFI, RFP search process. 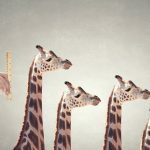 Even when marketer conditions are favourable, killing off a traditional process framework could be disastrous if your organisation hasn’t done its corporate homework and doesn’t truly understand itself or identify the reasons for their chosen search process. And in those situations, marketers may be jumping from a frying pan into a whole new fire of their own making. So is it really time to say RFI, RFP – RIP? Or do marketers need a little more introspection?